Why are there people who like this? Why are there people who write stories I would never ever think of in my worst nightmare? Who creates covers that literally make me feel sick? And posts them on Facebook? And on a different level: Why are there so many stories where evil wins, strories with a bad ending, stories that leave me sad and upset? It doesn’t even have to be horror. I’ve read anthologies with more stories that make me feel down than entertained – regardless of genre. Okay, that’s my personal preference, but still. And I honestly admit: I don’t like dark tales. I never liked them. That’s why I enjoyed many of the 90s TV series – you knew the heroes would make it out alive and all would be well in the end. Am I naive for preferring that kind of stories? Of course, I’m familiar with the psychological mechanism which makes us enjoy bad weather as long as we’re safe. Even if it’s storming and snowing, as long as we’re cosy and well prepared we have this warm fuzzy feeling of beating circumstances, of winning. Does that work for books and tales as well? Does the feeling they are safe from the horror in the book make anyone feel warm and cosy? Is it possible to enjoy the darkness in that case? I’ve been unable to do that for a long time now. I’m one of those esoteric people who did away with their TV. Because the pictures of death and destruction that the news serve up at any time are pulling me down in the same way as dark tales. I no longer do that to myself. Of course, my heroes still have to suffer in my tales. And even if one of them dies at the end – I do not write dark tales. 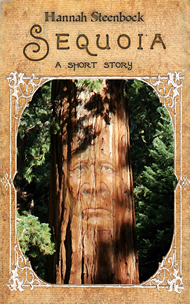 I want people to read my tales and feel good, uplifted and encouraged. And now I need your help big time. Can you help me understand? What’s so great about dark and dystopian tales? What’s the kick in horror tales that twist all possible versions of humanity out of recognition? What makes you write that kind of stuff? This entry was posted in English and tagged dark, dystopian, help, Horror, worldbuilding, writing, zombies. Bookmark the permalink.